If you choose Force Master as your Blade and Soul character, you should know that you have to clean up all main story quest and a few sub-quest near the Silverfrost Mountain. Maybe you will use Qing Gong to level up fast as Jiang Liu City is too large. This is a guide about how to level Fast from 45-50 in Silverfrost Mountains. When you land into Silverfrost Mountains, you need to level up to level 45-47 as the Skypetal Plains can be activated at this level. What you need to do is to level up as fast as you can. Then you will meet the top-level dungeon - Silverfrost Mountains Tainted Lab. When leveling up to 47, you can see the vast majestic Zaiwei when entering into Lumang Syndicate. Then you should go into the second top-level dungeon Talus Dungeon to to do the main quest there. If you fail in the dungeon, you have to start over. Therefore, you should be careful and take it easy. When reaching level 48, you can receive the main story quest - Chapter 4, Act 19 which you need to choose either Evil skill or Hongmoon skill. If you choose the Hongmoon skill, the Evil outfit will burn out and all players wearing Evil outfit become your enemies. When reaching level 48, you can level Zaiwei and go forward to the birch forest. There are quite a few daily tasks there for you to earn Blade and Soul gold and earn exp points. After doing these, you will get access to the third top-level dungeon Ogong’s Folly. It is kindly remind you if you have four players there, you have four times chances to play the dungeon and complete it. When reaching level 49, you can enter into the last map Silverforst mountains. You can play the last two top-level dungeons in the Shrieking Caverns and Chuanka Frost Caverns. Besides, there are 24-player zones for you to enjoy. You have to complete the main task here. In order to play the White Interfax, you have to complete the task that can be crafted by crafting faction or dropped by Silverfrost Mountains dungeon drop. When leveling up to 50, you have to learn the difficult “Ultimate Evil Skill” as it needs a kind of special skill book. Now you need to do easy daily quests. Hongmoon level has 10 levels and it is quite difficult, which will take a long time. For more exp, you can kill wild mobs. Also you can do the three Heroic Dungeons on a daily basis. In general, if you master this guide and make full use of your skills, you can level up to 50 within a few hours. If you want to know more about Blade and Soul, keep an eye on BNSGoldSell.com, we will update guide for Blade and Soul regularly. 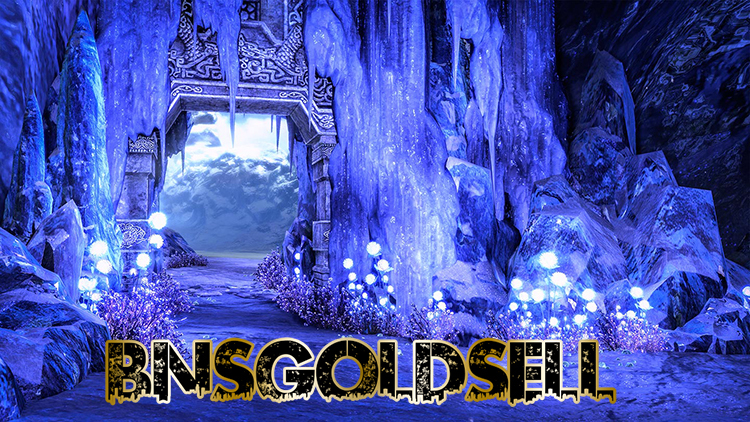 If you want to buy Blade and Soul gold, BNSGoldSell is your good choice.